Can you guess Aristotle’s opinion on Instagram followers and Facebook friends? Turns out, he gives us a pretty good answer. What do you think makes a good friendship? How many friends can we have? 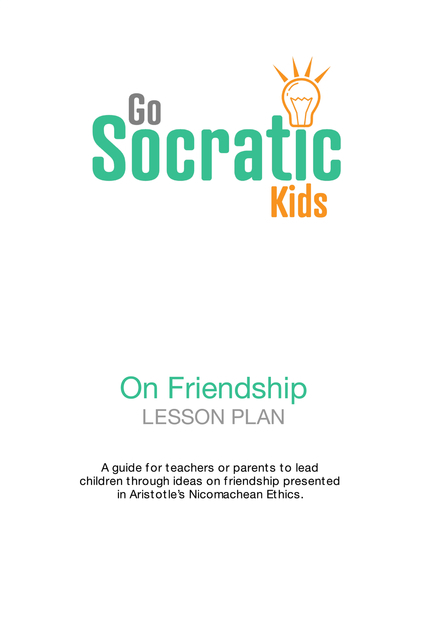 This lesson plan helps a parent or teacher explore Aristotle’s ideas of friendship (from the Nicomachean Ethics) with children.